November - March in Belgium, France, Holland and Germany. December to February in Portugal and Spain. Pre-flight safety briefing by your pilot. Prevailing winds dictate take-off spot and flight route. We fly at least 5 hours, we aim to fly up to 8 hours. After-flight celebration with champagne and Flight Certificate Awards. On-board cooker: we bake bacon and eggs, serve warm chocolate, ...during the flight ! The flight can take up to 500km. We will take you back after ! 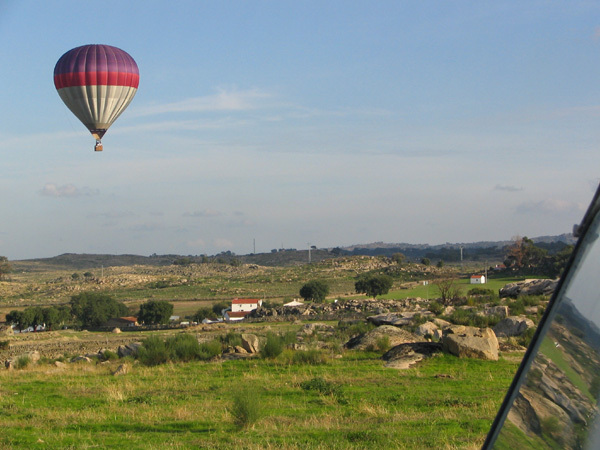 We fly higher than a regular balloon flight: around 1000m to 2000m. A check-list about what to bring, and what to wear will be provided to you well before the flight. ...an adventure you will NEVER forget !